This girl is my superhero. My everything. I think of what she’s endured in 2 1/2 years and I am humbled, proud and brought to tears by her strength. I don’t think I’ll ever have this answer, but what I do know is that she can handle it. It’s not fair, it’s not meant to be fair but Althea has a light and strength in her that I have never seen before. She is not like anyone else. She is literally a superhero; in every imaginable way. I would not change this girl for anything in the world, I would only take away the pain. Since Althea was born I have occasionally posted stories about the #choosekindness campaign and the importance of educating your kids to not only be friendly, but to be a friend. 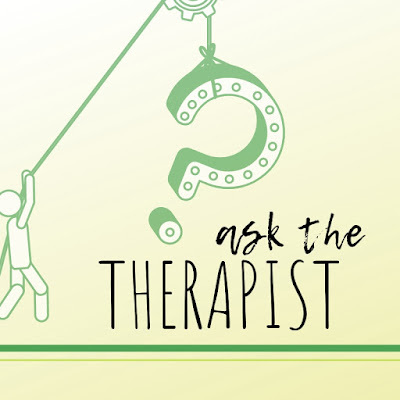 The stories I hear through our network are filled with hope, love and kindness, but you also hear some that rock you to your core with dread, sorrow and worry. We are meeting to discuss Althea’s preschool plans in a couple of weeks and I am so excited for this loving, social butterfly to flourish in school. But if I’m being honest, this may scare me more than her surgeries. I know Althea, I know her resilience, her strength, her stamina, her soul...however, I don’t know other kids...other parents, what’s being taught in other homes, and when talking about school and Althea, that scares me more than words can convey. PLEASE teach kindness in your home, challenge your kids to be friends with anyone and to always look beyond what’s “normal” by society standards. Teach kindness now, and never stop teaching it. Althea is a rockstar and will do well in school, regardless but our village can make it easier by teaching kindness to their littles. Pain comes in many forms, and choosing and teaching kindness over hate will help to eradicate possible pain for kids like Althea. 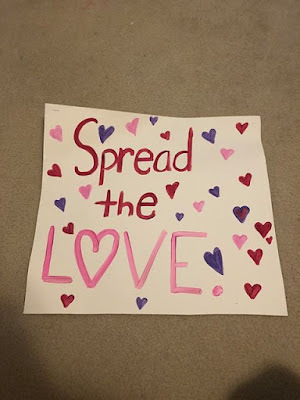 Spread love. Editor's Note: Rare disease day is celebrated on February 28th of each year. Rare diseases are defined as "any disease or condition that affects fewer than 200,000 people in the United States." 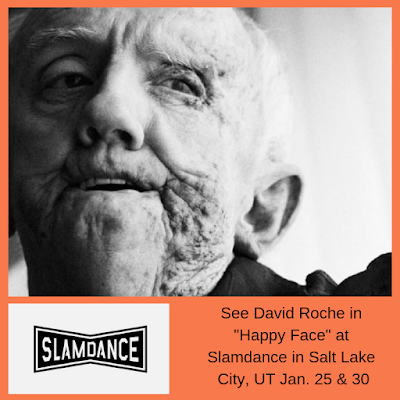 Please join us as we learn more about craniofacial rare diseases. Please mark your calendars for these events hosted by NIH and Global Genes. 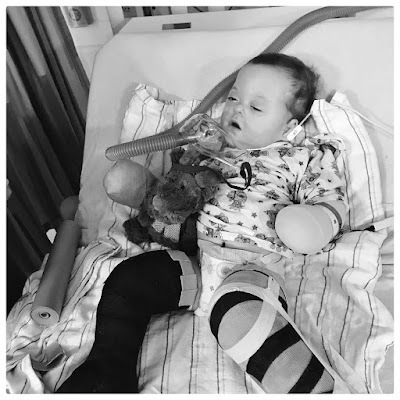 Sponsored by the National Center for Advancing Translational Sciences (NCATS) and the NIH Clinical Center (CC),Rare Disease Day at NIH will take place from 8:30 a.m. to 4 p.m. ET in the Main Auditorium of the Natcher Conference Center in Building 45 on the NIH main campus in Bethesda, Maryland. The event will feature interactive panel discussions on collective research models for rare diseases, patient registries, rare cancer research initiatives, and "no disease left behind, no patient left behind." New this year will be a presentation of the first ever Zebbie award for the NCATS Rare Diseases Are Not Rare! Challenge. Other highlights include posters and exhibits by rare disease groups and researchers as well as artwork, videos, networking opportunities and tours of the NIH Clinical Center. I recently shared some ways to manage overwhelming feelings or emotions with the group CCA Alums and Adults group that meets monthly. Everyone, at some point in their life, will need a way to calm themselves from experiencing strong states of anxiety, sadness, and even joy. Below are just a few ways that I turn my frown upside down. Remember: intense emotional states never last long. These techniques will help deescalate their intensity whenever and wherever you are. This technique uses both the cognitive function of your brain and integrates Chinese meridian points around the body to calm the nervous system, change your thoughts from negative to positive, and to help love and accept yourself. It looks weird, but I swear by it when I am in a pinch. Video links with my favorite tapper, Brad Yates, are below. Right, ok, true! I got you! If I am in public and stressed you will see me tapping the tips of my fingers, pinky side of my hand, and back of the top ring finger knuckle to process sticky emotional states. It has much the same effect without appearing "weird." These are specifically useful for thoughts and deep-seated beliefs like “I am going to be alone forever.” or “I am ugly.” or “I am not ever going to find a friend/mate/relationship.” These are all things we can relate to. All of these loom large in my mind on a regular basis. What are your myths that you tell yourself? Write them down and challenge those myths with the link to the pdf worksheet below. Download and print out this thought record in this link. Answer the questions at the bottom of the sheet in the columns. 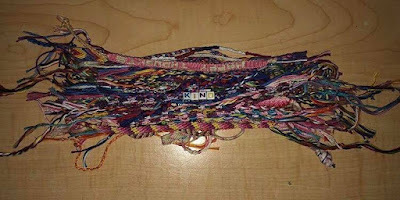 This is a great way to untangle your thoughts. 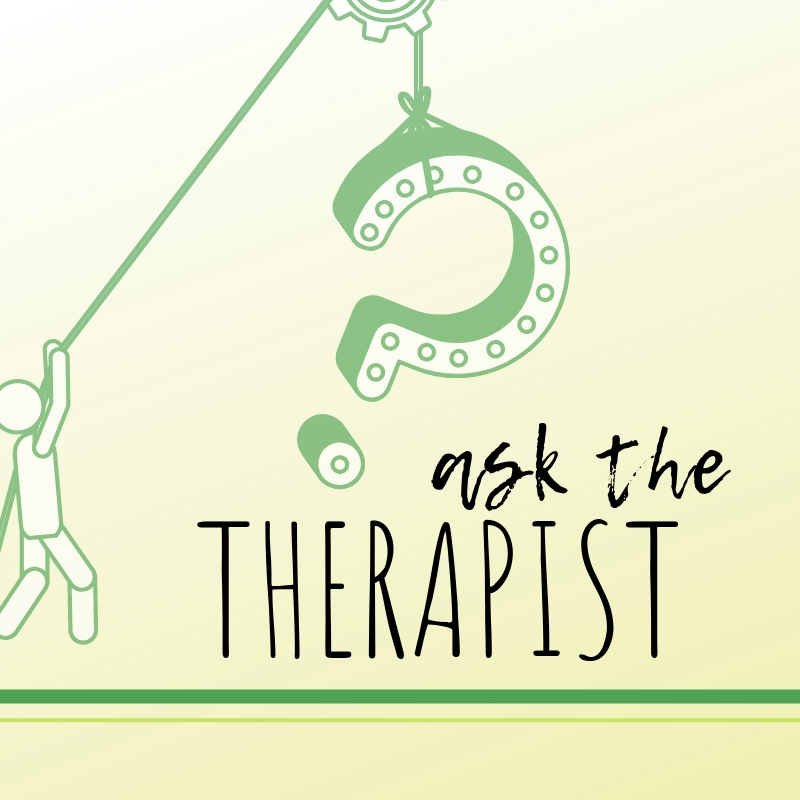 Here is more information about those myths and how to combat them using Cognitive Behavioral techniques. your rising belly and flat chest. I love breathing because you can do it anywhere. I love to practice in my car in traffic. 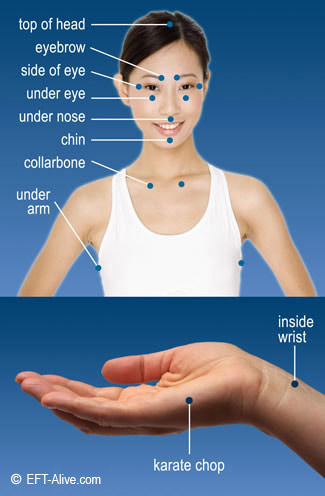 Breathing from the belly, using the diaphragm can be very calming to the nervous system. There are multiple ways to do this. Adriene, of Yoga With Adriene on Youtube, outlines one way during this meditation. I love how calming her voice is. She is so great. I am currently, SLOWLY going through her Dedicate yoga series that began on January 1 of this new year. Explore other ways of slowing the breathe down by searching for more videos or meditations. 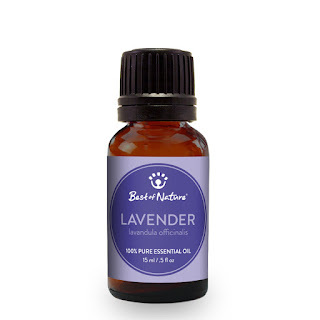 Essential Oils are great for resetting the nervous system through the sense of smell. This is a cheap set of oils. Ultimately, if you enjoy it, you will want to get some that therapeutic grade oils. I plan on purchasing some therapeutic grade eucalyptus and lavender for my sinuses and anxiety. Throw a few drops in the shower or bath with epsom salts for a spa-like feel at home! Treat yourself! Here is an excellent, small portable, plastic diffuser that I love. I keep mine running next to the couch. When you are ready to take the leap, here is a therapeutic grade essential oil brand. Other brands that are considered quality and therapeutic grade are Doterra and Young Living. Buyer beware! These are quite expensive, that said I am told they will last a long time. 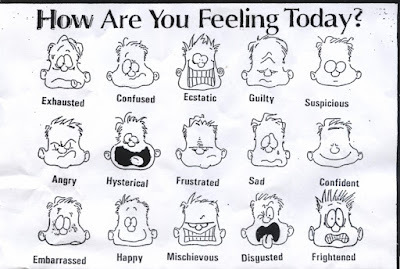 There is no one-size-fits-all for quelling intense emotional states. Play around with these and other things that you know work for you. I have heard that music, baths, showers, and stuffed animals help too. Focusing on our five senses as ways of input to hack away at the chatter in our brain is the key. How you do it is up to you. I hope you have found these tips helpful. What are some things you do to stay calm? Editor's Note: This is a repost of a blog entry from September 23, 2015. It resonated so much that we felt we should post it one more time! 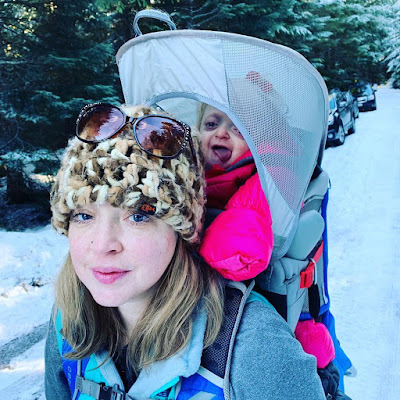 The post was originally found on one of the craniosynostosis groups on Facebook, and graciously, the author, Xanthe Faulkner, agreed to let me share it on our blog. 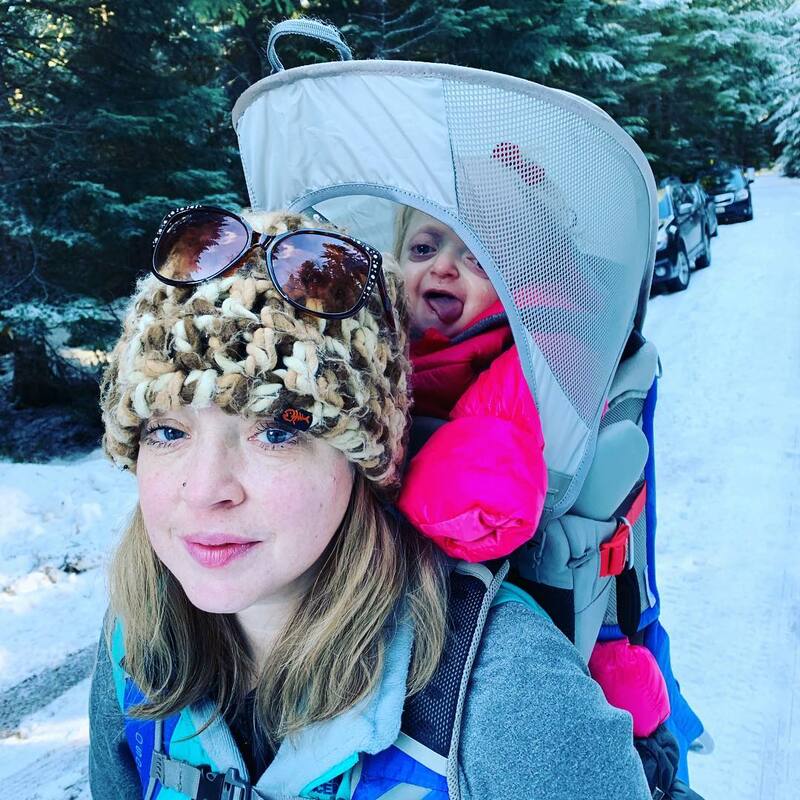 I believe it's a succinct and beautiful peek into the lives of our amazing cranio moms and dads, and a great example of why family networking is so critically important and huge part of the work we do at CCA Kids. 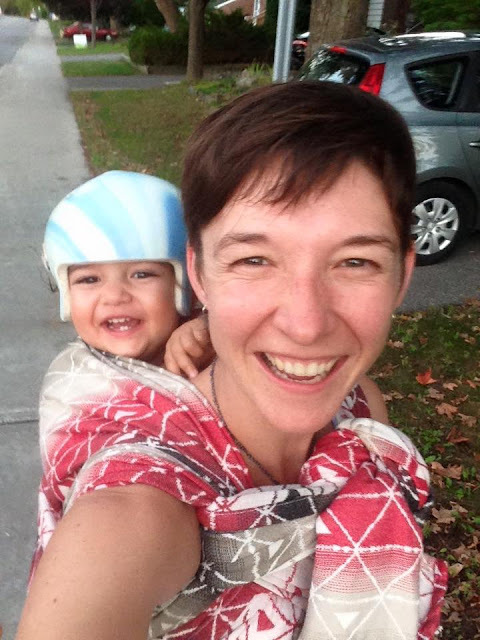 So Helmetbaby here is in daycare. And the day he started, 4 months ago, I looked at a boy in his class and thought "Saggital. For sure." But you know how it is - I never crossed paths with his parents, don't know the family, maybe he's already being followed, etc... But we're very public about our son's journey, so all the staff know us and the details of our little guy's condition and journey. So this morning I was carrying my son across the parking lot towards the school. And a woman I don't know calls to me, softly, and comes over. "I need to talk to you," she falters, "I'm so happy you came just now. The teachers said I should, that I could..." And tears well up in her eyes, and I knew right away. With my son cradled in one arm I wrapped my other arm around this stranger and held her tightly. Of course she was the other little boy's mom, and she had gotten CT confirmation of fused saggital and metopic [planes of the anatomy of the skull] the day before. "I'm so upset," she said, soft spoken and shocked, "I never expected. I'm beside myself. I forgot all my groceries in the store yesterday. I'm so distracted and scared, I don't know what to do." Thank you all for being that for me and so many other families. Thank you for teaching me how to be that for others. XO. Editor's Note: We checked in with Atholton High School student, Sarah Fishkind, to update us about her school's Kindness Club. Sarah lives in Columbia, Maryland. 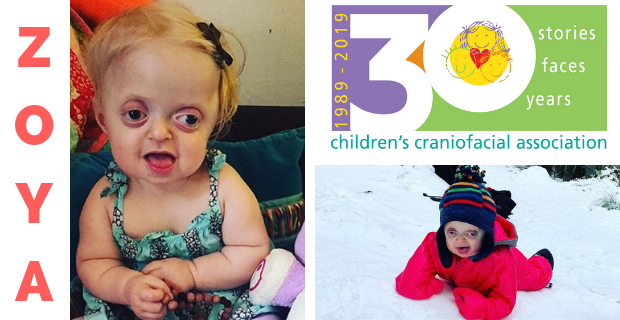 She learned about CCA because she was born with bicoronal craniosynostosis and attended the recent Annual Retreat in Reston, Virginia. 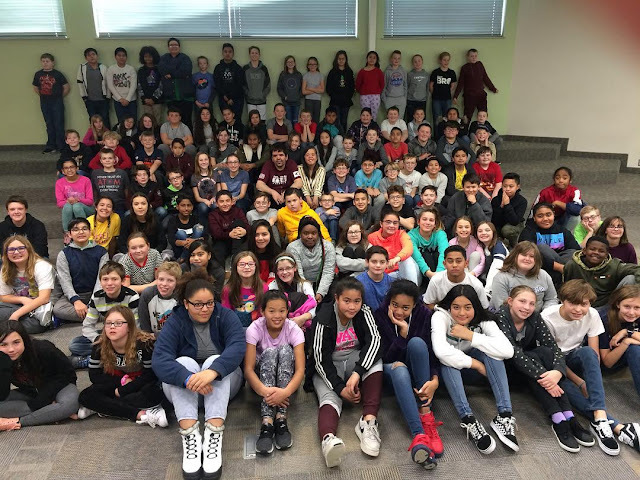 CCA Kids Blog covered the Kindness club in January 2018. I wanted to know what they had been up to during the last year. We were happy to hear that the club is still going strong, doing good, and raising awareness. Without further ado, here is what Sarah's kindness club did in 2018. Over the past year, my club has been focusing on raising awareness for craniofacial conditions. 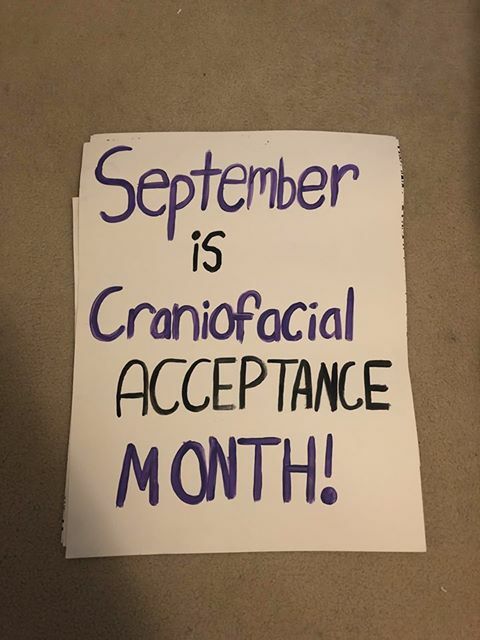 We celebrated September as Craniofacial Acceptance Month, and hung up posters all around the school! Check out the pictures below. 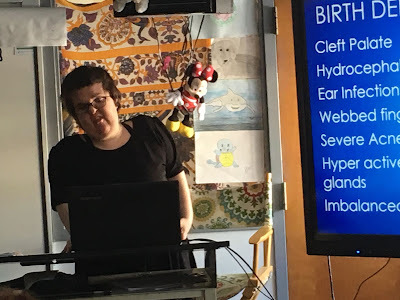 We also had weekly announcements with either quotes or inspiring messages teaching the school about craniofacial conditions. We have written a bunch of letters to children with these conditions that are either bullied or just want some letters of encouragement! This year, we also created some “well wish chains” that we sent to Cranio Care Bears, for them to send in their packages when children have surgery. We had one meeting where we Skyped and spoke to Peter Dankelson. 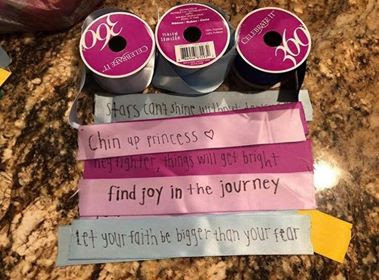 We raised money for CCA with a bracelet fundraiser in 2018. We created string bracelets and sold them during lunch. We plan on doing a T-shirt fundraiser soon. The orders should be in for the next meeting. Thank you Jaci Samhammer for speaking at Charles Bohm Middle School in Yardley, Pennsylvania to a class of 8th graders this past November. 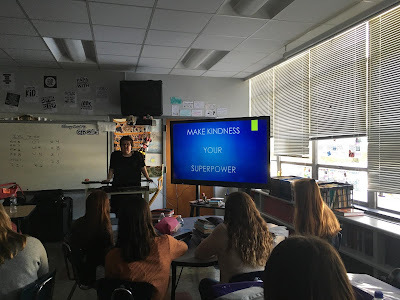 The eighth grade teacher contacted CCA to ask for a speaker to visit their classroom after reading the R.J. Palacio book, Wonder. 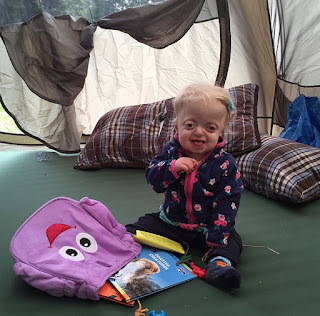 Jaci told her story about living with Apert syndrome. The students in turn asked her many tough questions, but she was able to rise to the occasion and provide great answers. Jaci brought the story of Auggie Pullman to life. 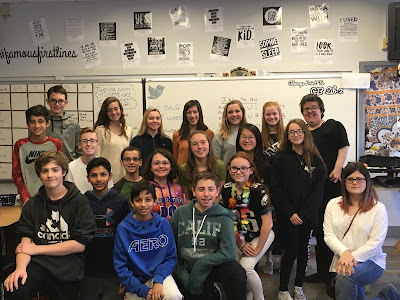 Here are some photos from her classroom visit. Zoya and some of her favorite books! Zoya Bobov is an adorable 16-month-old girl that lives with her parents, Desirae and Vladmir, and older brother Ivan (3 years old) in Seattle, Washington. Zoya was born with Pfeiffer syndrome in August 2017. Her mother, grandmother, and father all agree that she is a “happy little girl” that always has a smile on her face. 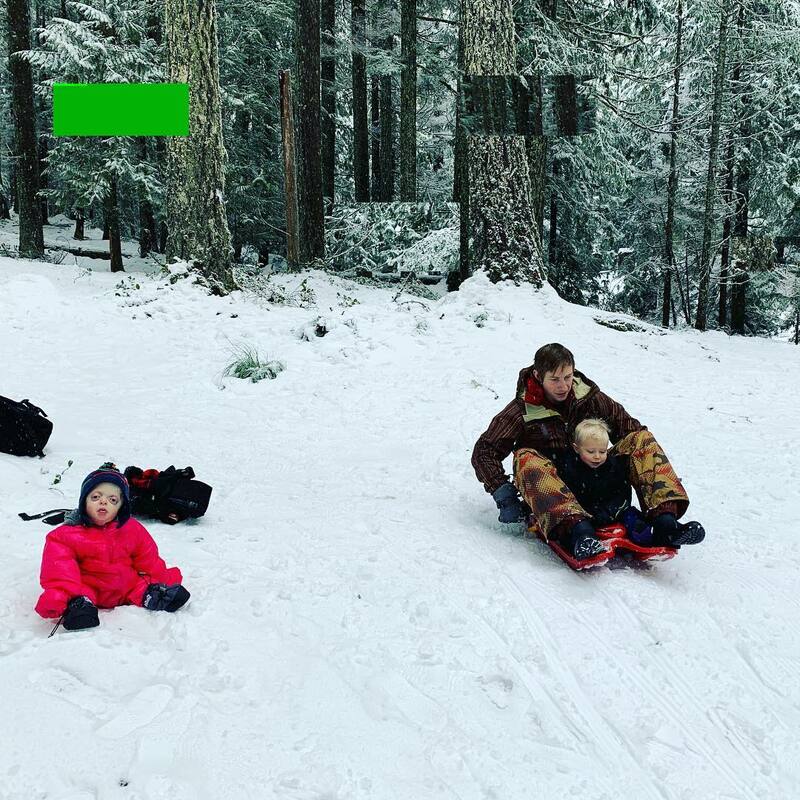 The Bobov’s say they love exploring nature and are a “super outdoors family!” Most recently the family hiked up Mt. Rainier to celebrate New Year’s Day. Zoya loved the snow! When Zoya finds herself back indoors, she loves spending quality time with her older brother, Ivan, to read books, and scoot around on the floor to prepare for her next outdoor adventure. We love featuring Zoya after her Nana wrote us this submission to our 30 Stories, 30 Faces, 30 Years celebration. Thank you, Zoya, for being one of CCA’s newest stories! 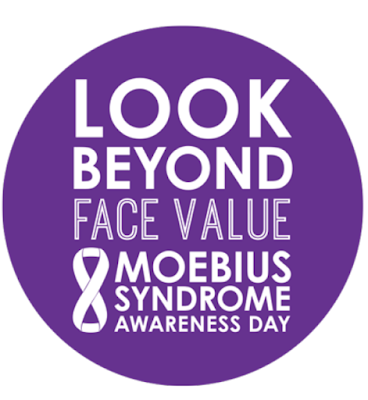 Moebius Syndrome Awareness Day is January 24th. Are you ready? Not to worry because Moebius Syndrome Foundation has everything you need to raise awareness, share your story, and learn more about this facial difference. There are a few regional events to check out too. Most notably, a group of people in Houston will be hosting an awareness event on Saturday, January 26th. Learn more about this event and more on this webpage. 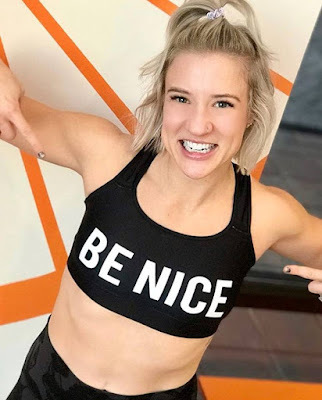 Full Pscyle Dallas will host one of their signature spin cycle classes to benefit CCA thanks to Keegan Strogatz on Saturday, January 12th at 10AM. Keegan's cousin in Dallas wanted to help raise funds for kids like Keegan. This event is a great way to get a jump start on your New Year's resolutions and give back to a great cause too. Keegan Strogatz inspired this event. He is a soon-to-be one year old, Southern Californian born with Treacher Collins syndrome. He is one of the newest members of our national family. Brooke Strogatz, Keegan's mother, is excited about the event that Keegan's cousin, Shelby, is spearheading in Dallas. Full Psycle's mission is similar to CCA in that they hope to create a thriving community of people that are dedicated to feeling great both inside and out. The cycle studio takes the spin class experience to the next level by incorporating the latest fitness tracking technology, luxurious surroundings, and the most comfortable bike saddles in the business. They also give back to local and national nonprofit organizations like the American Heart Association and the Susan B. Komen Foundation. If you are in the Dallas area on Saturday, January 12th please join us at the studio located 2650 N. Fitzhugh Ave. - Suite 120,Dallas, TX 75204. Class begins at 10:30AM and concludes at 11:15AM. 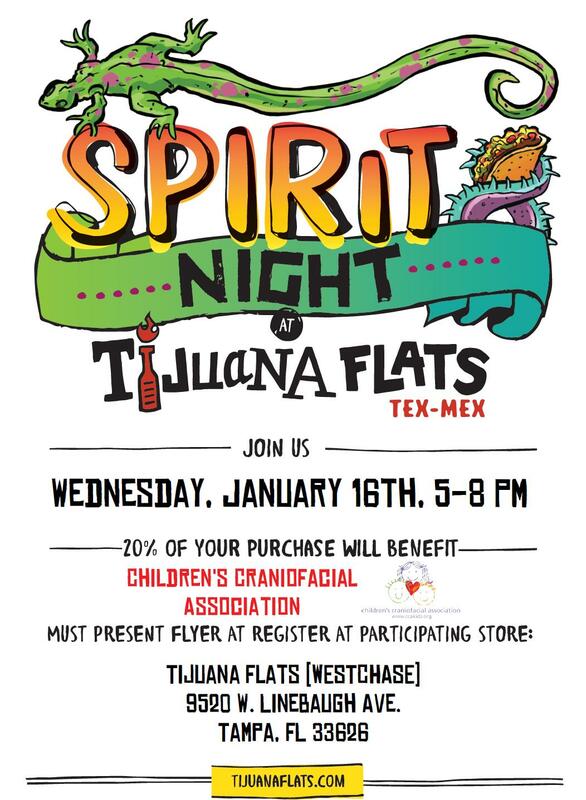 After, there will be time to share refreshments with new friends and learn more about the work Children's Craniofacial Association does for kids like Keegan. Sign up, lace up, and register at the Facebook event page today!